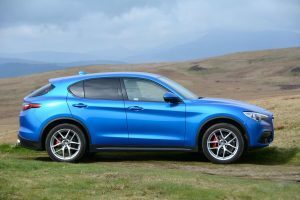 The government and mass media don’t want you to buy diesels, and plug-in petrol hybrid SUVs offer poor economy in real-world driving, so, with no choice of affordable all-electric SUVs, this is what you’re left with: petrol – in this case, in the form of the Alfa Romeo Stelvio. You want an SUV, but you’re confused about what powertrain to go for. The government and the mass media don’t want you to drive a diesel, and petrol plug-in hybrid SUVs typically deliver poor economy over long distances. Because there are currently no pure electric sporty SUVs on sale for less than £60,000, if you want an SUV you’re being boxed into the petrol corner. So is a petrol-powered SUV really that bad…? 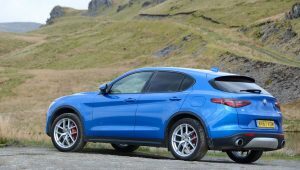 The Alfa Romeo Stelvio 280hp Turbo has a 4-cylinder, 2-litre petrol engine with an 8-speed automatic transmission, and all-wheel drive. And did we say that it looks great? 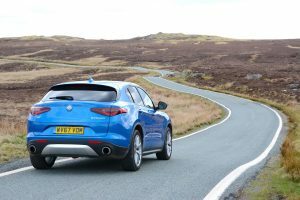 The interior is also pleasant enough, although there are some quirks which we’ll come onto later… but it’s practical for a family, with a boot that’s quite long, but not very wide. 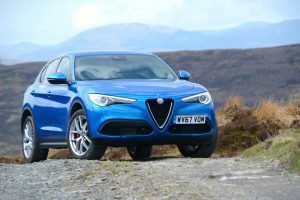 Let’s start with the headline: the Alfa Romeo Stelvio in 280hp Turbo Petrol guise offers one of the best driving experiences of any SUV – Porsche Macan included. 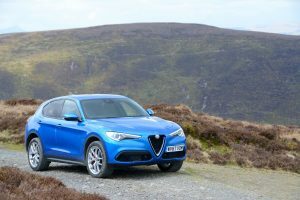 The main connection between the driver and the road on a car is via the steering, and the Stelvio’s steering is sharp and responsive – something that’s very unusual for an SUV. The next key area for driver involvement is a car’s handling, and again, the handling of the Stelvio is amazing for an SUV; it feels more like a sports car. 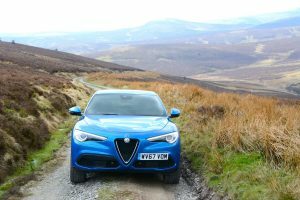 The Stelvio is all-wheel drive, but there’s none of the front-wheel drive biased all-wheel drive that’s common in most SUVs – there’s a real sense that the rear wheels want to push you round the corners. 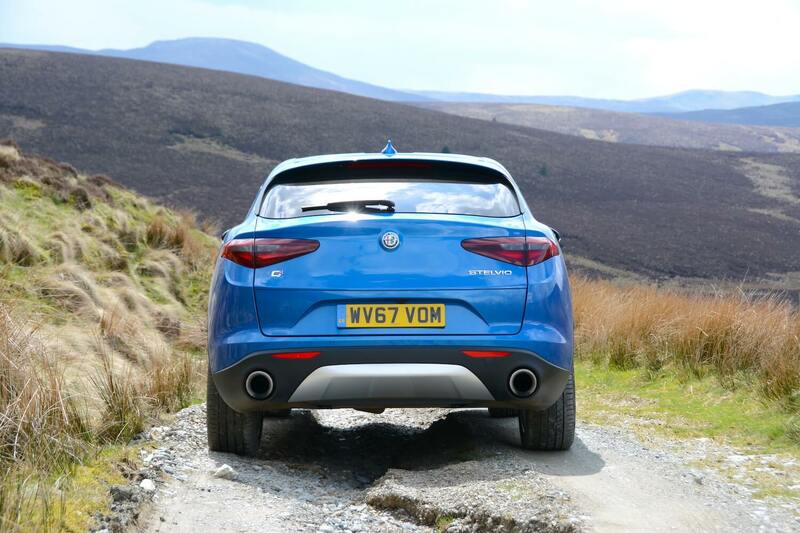 But it gets better – somehow Alfa has also managed to achieve an excellent, pliant ride, rather than suffering from the overly firm damping that most SUVs have in order to prevent them from rolling too much through the corners. Tyres with a sensible profile also help with the ride quality. And then there’s the engine, which is powerful, smooth and responsive, and although generally quiet and refined, it’s capable of making a great noise under acceleration. And even the engine and gearbox combination works well. Although the 8-speed transmission works perfectly well if left in auto, you can also change manually, which is a slick process. You also get a choice of three drive modes: Dynamic, Normal, and All-weather (DNA). However you can’t disengage the traction control. After a day driving on some of the best roads in North Wales, the conclusion is that the Stelvio has to be one of the best driver’s cars that exists in the SUV category – and yes that includes taking the Porsche Macan into consideration. 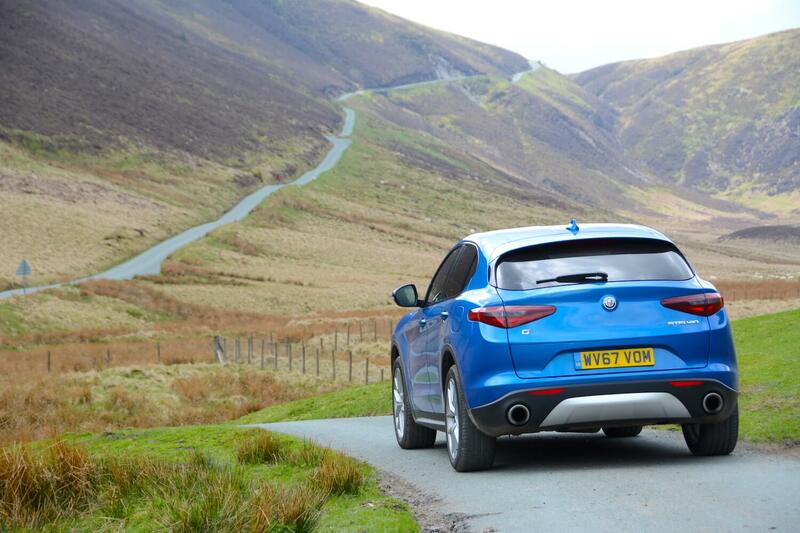 The difference between the two is that the Macan feels secure to the point of being clinical, whereas the Stelvio feels more fluid and adjustable. 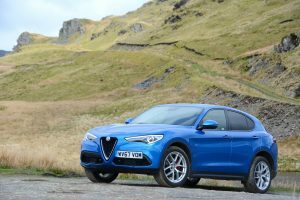 The Stelvio doesn’t feel anything like a big, heavy SUV (although it does weigh 1660kg – but this is reasonably lightweight for this size of SUV). 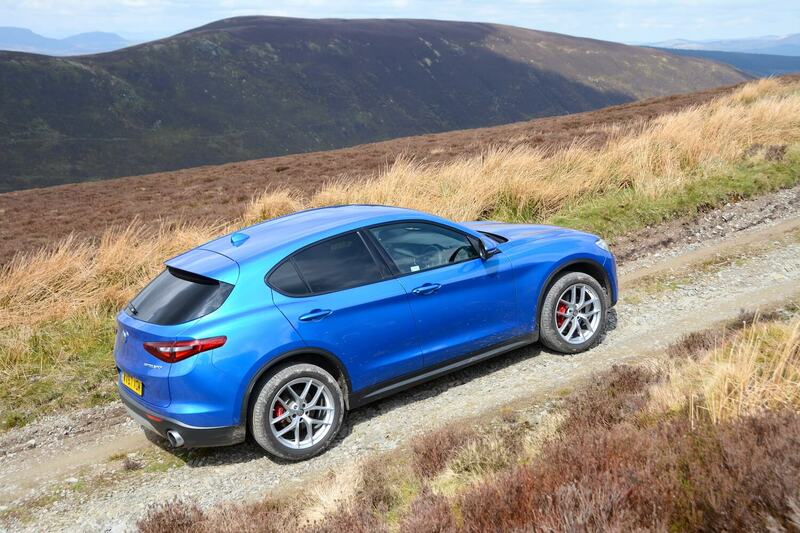 It even coped with some mild off-roading. The first quirk is the steering wheel-mounted gear shifters: they’re huge. So huge that they get in the way when you want to indicate. Then there’s the infomedia system. There’s a separate rotary control, which is good, but there’s only one shortcut button (the other button seems pretty useless – it would be much better to replace it with a back-up button, which the system is currently lacking). Entering postcodes into the satnav is a challenge, as well as the system being slow to respond, but perhaps the biggest issue is that you can only zoom out of the map to allow you to see a maximum of a few hundred metres ahead (not helped by the very shallow screen). 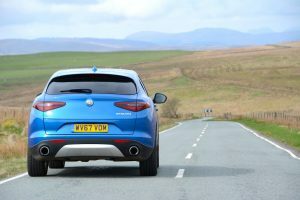 Because so many drivers can’t seem to drive on our straight motorways without crashing, it’s essential to be able to view motorways miles ahead, so the daily closures on the M6 in Cheshire due to accidents can be seen in time to take a diversion (not that the Stelvio’s system predicted delays or recommended diversions). When you discover some of the less than obvious ways to do things in the infomedia system, it’s actually not as bad as it first seems, but it certainly can’t be described as intuitive as BMW’s iDrive. When the Stelvio arrived it had the lane departure warning system switched on. This resulted in infuriating beeping every time you drove near a white line. However pressing the button at the end of the indicator stalk thankfully switched off what must be the biggest waste of time on any car’s safety options. Apart from people who are extremely prone to falling asleep at any time, does anyone else really drive around with this lane departure warning feature selected? 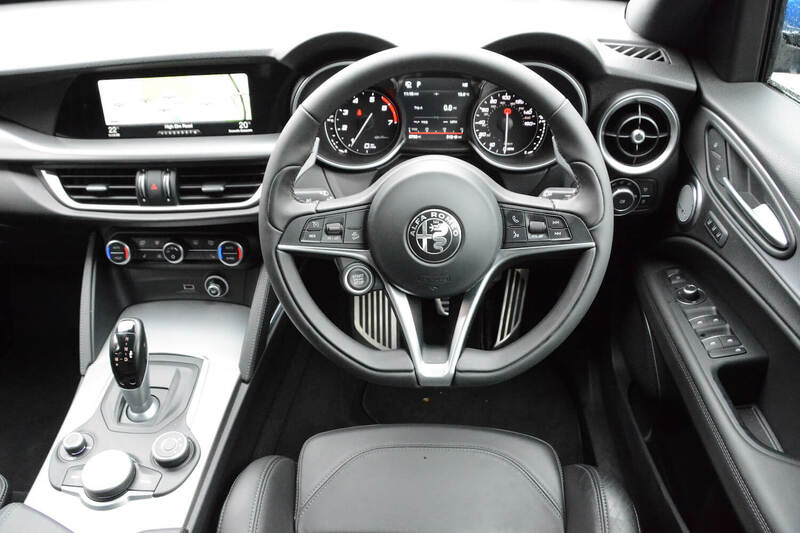 You can just about get a decent driving position, but although the steering wheel has reach adjustment, it only extends out by about an inch or so – it would be much better if it came out further. 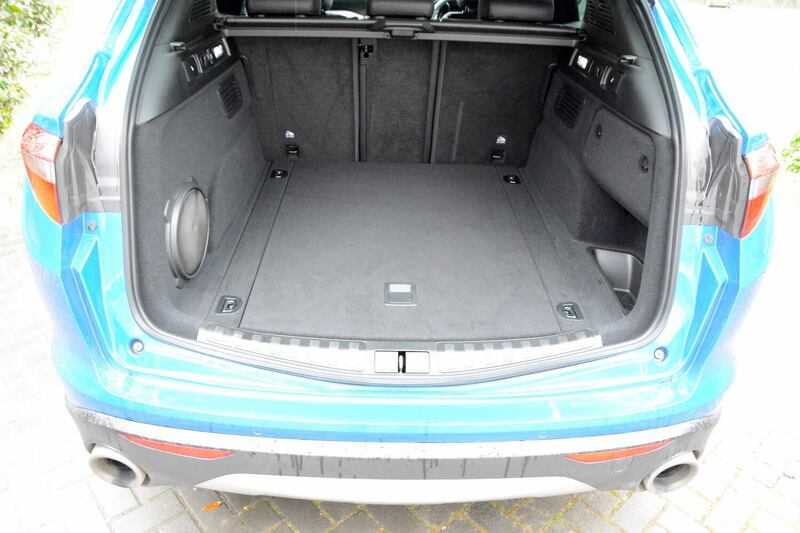 And in common with most SUVs, the seat doesn’t go down very low. But perhaps the most annoying feature is the lack of auto release on the electronic handbrake. For a car that’s supposed to get you places quickly, wasting valuable seconds having to release the handbrake manually every time you set off from standstill doesn’t seem right. Ah, okay… fuel economy. The official NEDC combined fuel economy for the Alfa Romeo Stelvio 280hp Turbo is 40.4mpg, with CO2 emissions of 161g/km. If driven carefully, we managed to achieve 40mpg (43.2mpg being our best result at 55mph). But our average after a week of mixed driving was 32.6mpg. We’re not saying that this is the height of efficiency – we’re merely pointing out that if everyone wants an SUV, and if the government is discouraging you from buying a diesel SUV, then this is what happens. 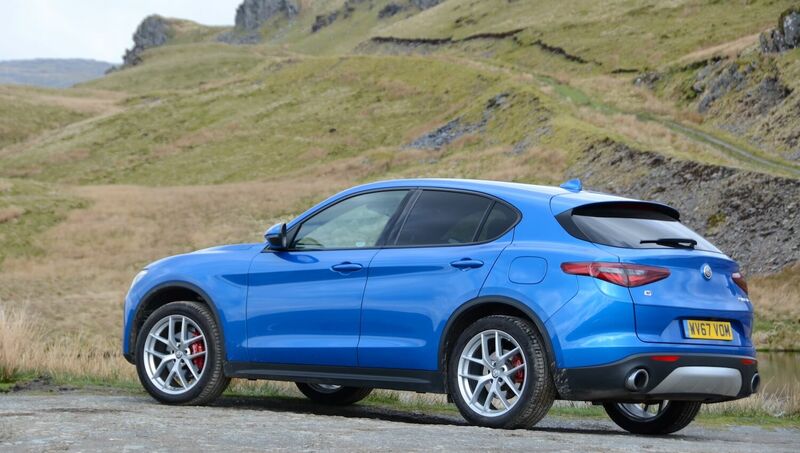 The Alfa Romeo Stelvio 2.0 Turbo Petrol 280hp Q4 AWD Milano costs £45,405. 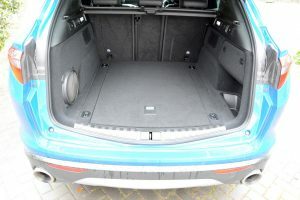 Our test car had options of metallic paint (£770), Harman Kardon Sound Theatre (£500) and space saver spare wheel (£275), totalling £1,640, resulting in a final price of £46,950. Trim levels are Stelvio, Super, Speciale and Milano Edizione. Engine choices are the 2.2 Turbo Diesel 180hp, 2.2 Turbo Diesel 210hp, 2.0 Turbo Petrol 200hp and 2.0 Turbo Petrol 280hp. All engines are paired with a ZF 8-speed automatic transmission and the Q4 All-Wheel Drive System, although the 180hp version is also available with rear-wheel-drive. Everyone wants an SUV. Diesel is frowned upon at the moment. Plug-in hybrid SUVs deliver disappointing real-life economy if driven over long distances without recharging. There are no sporty electric SUVs at a sensible price. So many people – particularly company car buyers – are being boxed into a corner of choosing petrol because they feel there’s no choice. If you buy a petrol SUV, then you’re not going to enjoy the levels of economy of a diesel SUV – as our real-world average economy of 32.6mpg shows. However what you will enjoy, in the case of the Stelvio, is a rewarding, sporty driving experience. If we didn’t focus so much on efficiency we would award the Stelvio a 9 out of 10 rating. However at Green Car Guide we’re primarily looking for cars that are efficient and great to drive. 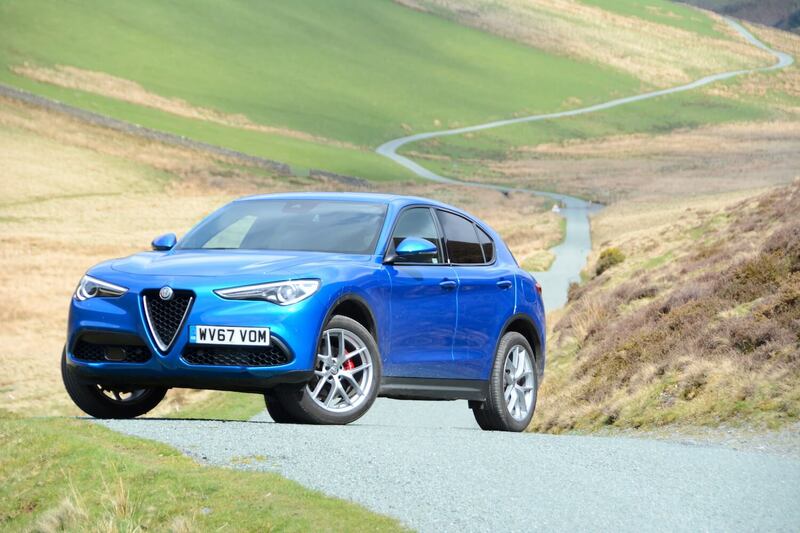 The Stelvio ticks the ‘great to drive’ box, but we can’t really give it a 9 out of 10 based on fuel economy of 32.6mpg, so it ends up with an 8 out of 10. 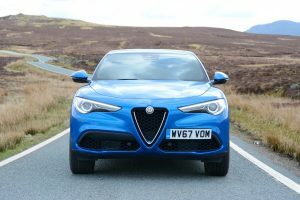 Of course, we couldn’t make such a comment as the following, but it is tempting to say go and buy a Stelvio while we’re in a period of the Treasury discouraging the purchase of low emission diesels, and while there isn’t an electric alternative; make the most of the opportunity to own a Stelvio while you can.